Local police visited GUY LAMARCHE in Cornwall after he posted on social media that he had hurt his cat over two lost cigarettes. The post went viral resulting in outrage and Mr. Lamarche pulled down his facebook page. 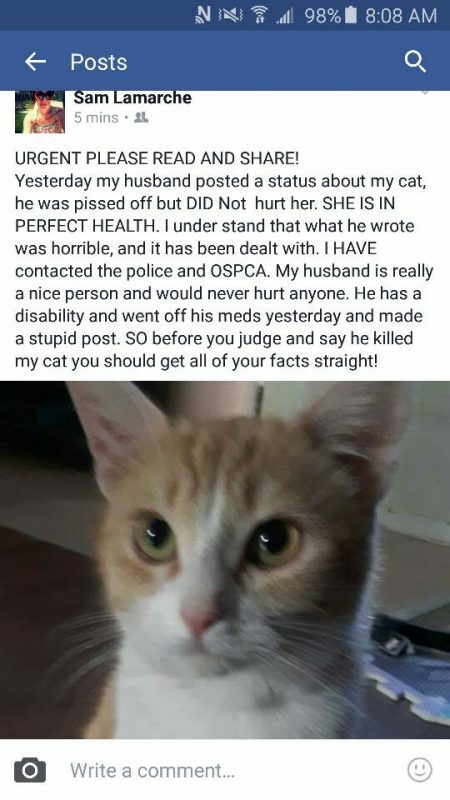 His wife pleaded that he was off of his meds and that the cat was safe, however numerous complaints to police and the local OSPCA led to a home visit. 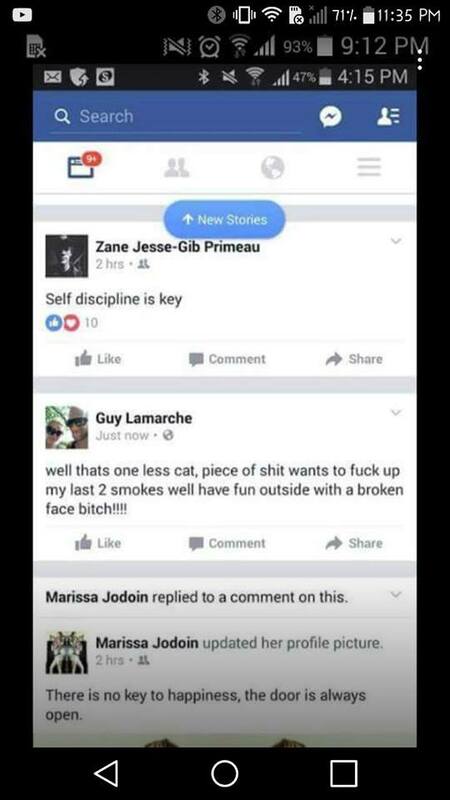 What bothered a lot of local viewers was another image of animal violence on Mr. Lamarche’s facebook page before he removed it. CCPS confirmed to CFN that a visit had occurred and that no charges have been laid at this time and no animals have been removed from the home. They did state that the OSPCA is investigating. Brad Dewar, spokes person for the OSPCA, has not commented about this issue or the other cat story we just published about a litter of kittens allegedly neglected by the local affiliate.